WASHINGTON, DC, March 23, 2012 (ENS) – The Department of the Interior today released voluntary guidelines aimed at helping wind energy project developers avoid and minimize impacts of land-based wind projects on wildlife, particularly birds. The voluntary guidelines, which take effect today, are designed to be used for all utility-scale, community-scale, and distributed land-based wind energy projects on both private and public lands. Some bird conservation organizations are on board with the new voluntary guidelines, but others say a mandatory permitting and inspection system would offer better protection. Officials say the guidelines will help shape the smart siting, design and operation of the nation’s growing wind energy economy. “These voluntary guidelines have been developed through an intensive public process with significant help from the wind energy industry, state agencies, and wildlife conservation groups and are designed to achieve the best outcome for wildlife and wind energy development,” said Salazar. The voluntary guidelines will help developers identify additional steps, review processes and permits that may be needed to ensure compliance with federal laws such as the Migratory Bird Treaty Act, the Bald and Golden Eagle Protection Act and the Endangered Species Act, Salazar said. If the project may affect one or more species protected by the Endangered Species Act or their habitat, for example, developers may need to develop a Habitat Conservation Plan and apply for an Incidental Take Permit, Salazar said. The new guidelines released today replace voluntary interim guidelines issued by the Fish and Wildlife Service in 2003. They are the result of a five-year process that included multiple opportunities for public review and comment. The Wind Turbine Guidelines Advisory Committee, established in 2007, had special input into that process. The committee included federal and state agencies, tribes, the wind energy industry and some conservation organizations. After two years of deliberations, the committee submitted its final recommendations to the Secretary in March 2010. The Fish and Wildlife Service used the recommendations as a basis to develop its draft Land-Based Wind Energy Guidelines, announced in February 2011. After receiving more than 30,000 comments on the draft guidelines, the Fish and Wildlife Service reconvened the advisory committee for additional public meetings in order to develop the most effective final guidelines. 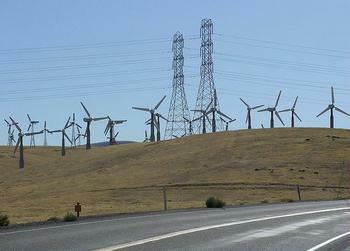 “We know America needs more renewable energy and wind power is a key player in that mix. But conservationists can’t have it both ways: we can’t say we need renewable energy and then say there’s nowhere safe to put the wind farms,” said David Yarnold, president and CEO of the National Audubon Society, which had a seat on the committee and supports the new voluntary guidelines. Although American Bird Conservancy applied to be part of the Wind Turbine Guidelines Advisory Committee, their request was rejected, says ABC spokesman Robert Johns. In December, ABC formally petitioned the U.S. Fish and Wildlife Service to establish a mandatory project permitting system that would would ensure future wind farms are well sited, operated, and mitigated. “If adopted, this system would prevent the most egregious developments while allowing relatively benign developments to proceed in conjunction with certain mitigations,” said ABC. 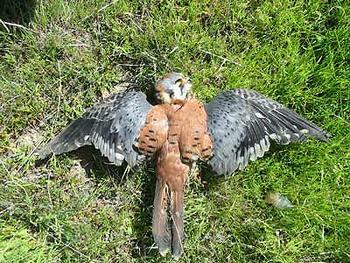 In 2009, the Fish and Wildlife Service estimated that 440,000 birds were being killed each year by collisions with wind turbines, a figure provided in the agency’s 2013 budget request to Congress. A coalition of environmental groups, including the Sierra Club, the Center for Biological Diversity and Defenders of Wildlife, has sued Kern County, California to block construction of two wind energy projects on 13,535 acres next to the Los Angeles Department of Water and Power’s Pine Tree wind farm in the Tehachapi Mountains, where eight eagles have been found dead over the past two years. “In the absence of clear, legally enforceable regulations, the massive expansion of wind power in the United States will likely result in the deaths of more than one million birds each year by 2030,” warns ABC. “The country needs more wind energy for its American manufacturing and construction jobs, environmental benefits, and national energy security. These guidelines set the highest standard, either voluntary or mandatory, of wildlife protection for any industry,” said Denise Bode, CEO of the American Wind Energy Association, AWEA, a trade association. “It is our hope that in conjunction with rapid training and sensible implementation, the guidelines will promote improved siting practices and increased wildlife protection that in turn will foster the continued rapid growth of wind energy across the nation,” said Bode. The U.S. wind industry is booming, says AWEA, with over 8,300 megawatts of wind power currently under construction involving over 100 separate projects spanning 31 states plus Puerto Rico. The wind industry has added over 35 percent of all new U.S. generating capacity over the past four years, second only to natural gas, and more than nuclear and coal combined. Today, U.S. wind power capacity represents more than 20 percent of the world’s installed wind power.